The best HR strategies look to create a “dream team” of top executives. You want the best people managing your production, operations, administration, finance, and sales. That’s why your HR strategy needs someone to manage all of your employees. Your human resources department could be one of the most important of all, since it is responsible for hiring, firing, and maintaining overall employee morale. Here’s how to create HR strategies that produce a dream HR staff that will have the greatest impact on your employee satisfaction. You first need to determine whether you want generalists or specialists in your HR department. HR Generalists are those with a broader range of HR experience. They can typically operate all aspects of your HR department. However, a team of generalists may not be best equipped to deal with certain HR issues. In contrast, specialists are those HR professionals who have a background in certain areas, such as benefits or recruiting. These professionals are great at handling practically any possible scenario in their niche. However, as a specialist, they also are not well-versed in other areas of HR. Another HR strategy is for you or someone on your team to obtain an HR master’s degree online to learn more about HR management for your business. Recruiting – One of the main functions of HR is recruiting new hires. They keep track of all job descriptions, post job ads in local, regional, and national publications, and usually do initial interviews. Training – Part of HR’s responsibility is maintaining all training of employees. They usually help create training manuals and hire trainers to teach new hires. They also provide ongoing career training as needed for individuals and departments. Payroll – These individuals are also important in keeping track of all hours worked by employees. In addition, they maintain payroll rates and raises, and submit payroll data for periodic payments. Benefits – HR benefits helps maintain all employee benefits like paid time off, health insurance maintenance, and other employee perks or rewards. 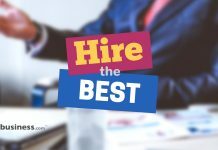 Whether your HR strategies involve hiring a few generalists to cover all your HR bases, or a team of specialists in each field, it is well worth your time to get the right team in place to manage your most important asset – your employees.